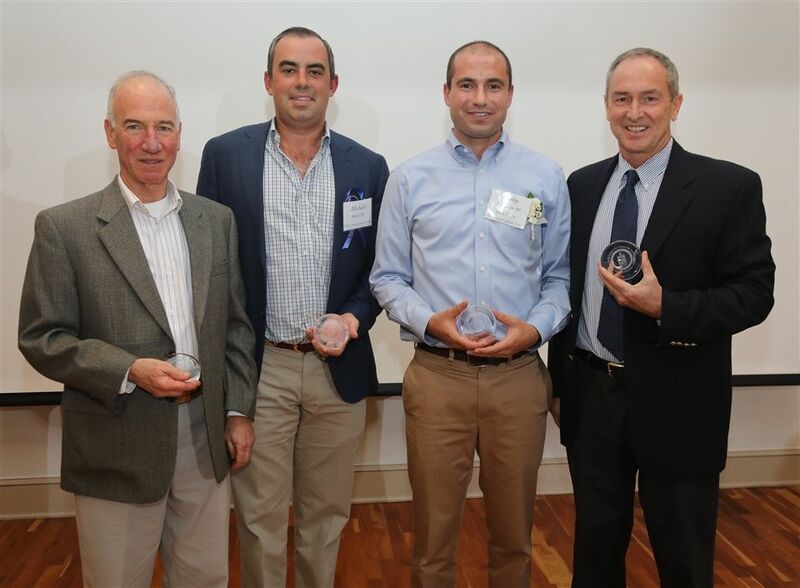 On Friday night, the GSB Athletic Hall of Fame inducted several new members in a ceremony held in Brueckner Hall. More than 60 guests—alumni, faculty, former coaches, parents and friends of the school—were in attendance. 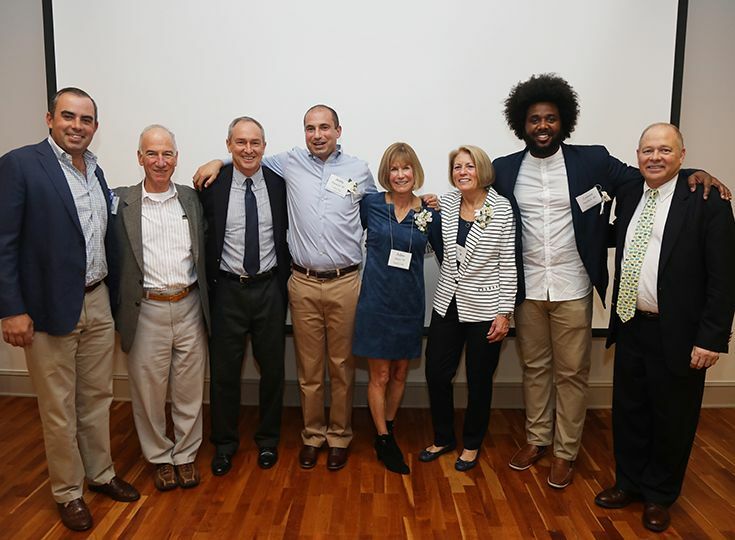 In addition to honoring the athletes, the event signaled the school's commitment to re-establishing its athletic hall of fame, which has been dormant for a period of years. 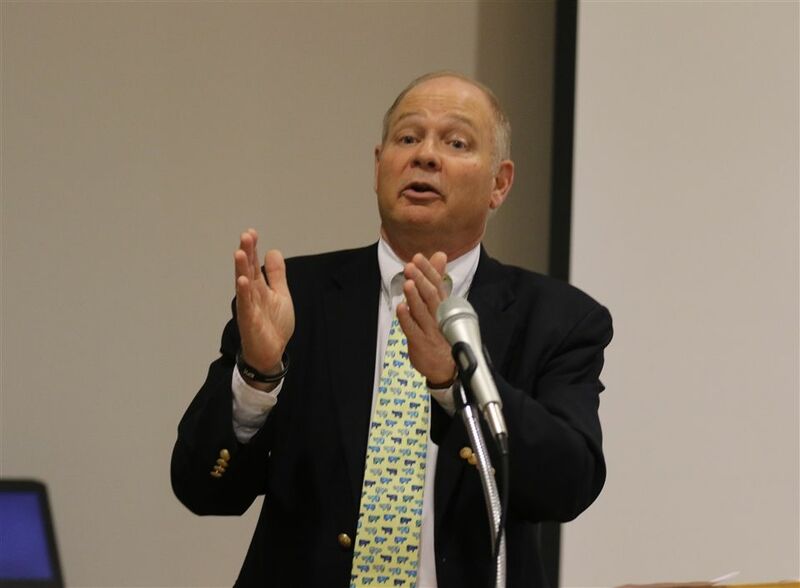 In their opening remarks, Head of School Sid Rowell and Athletic Director Tim Davis each reflected on the growth of GSB's athletics program, both in terms of size and competitiveness, over the past decade. With the program and its teams thriving, the time was ideal for re-establishing the hall of fame. Friday's gathering marked the first in what will be an annual event moving forward. First to be inducted at Friday's ceremony were the 19 members of the 2002 cross-country team and its coaches Gerry Vanasse and Mike Chimes. In addition to coaching the team, Vanasse was also the school's athletic director at that time. He and Chimes were both on hand for Friday's induction ceremony. Reflecting on the team, Vanasse spoke of their commitment to the sport, offering "Running was their life." In 2002, the team won the prestigious Canterbury School Cross-Country Invitational, considered to be the premier independent school cross-country event in New England. Additional wins that year included the Newark Academy Invitational and the Gill St. Bernard's Invitational. The team garnered the NJ Patriot Conference championship and was also one of the first teams at GSB ever to win a Prep B state title. 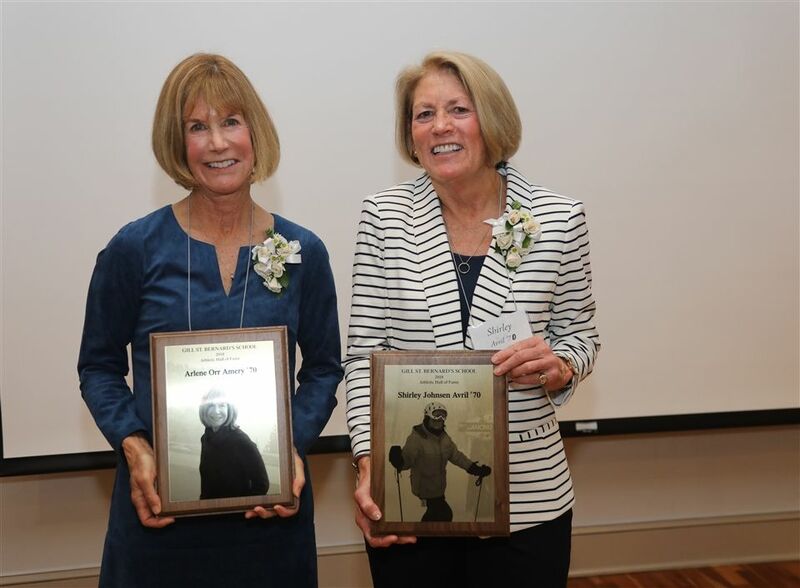 Amery and Avril were each inducted for their contributions to the Gill School's athletic program, including leadership roles on the school's undefeated field hockey team. The two took part in a range of sports at the school, managing to play both basketball and volleyball during the winter season. In addition to their athleticism, their teammates highlighted their leadership, focus on teamwork, and the fact that they always valued the team more than individual achievement. 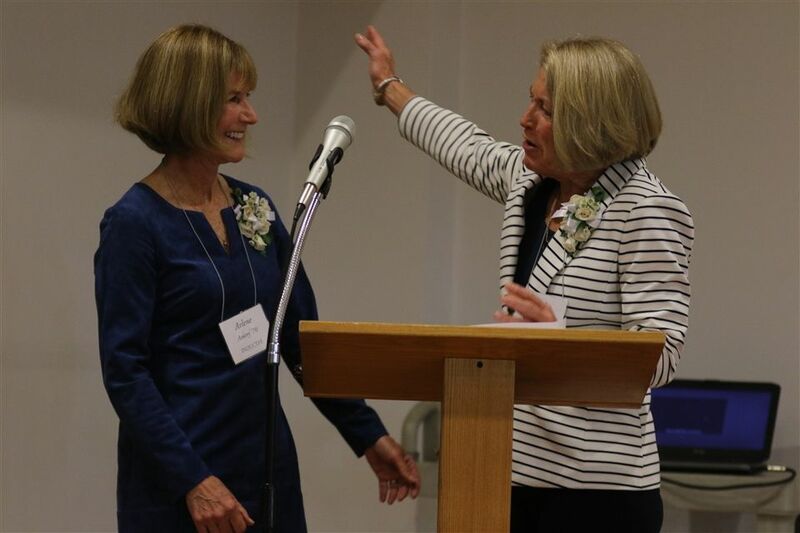 At the event, each honoree spoke on behalf of the other, reflecting on a friendship that began on the playing fields and has continued throughout their lives. The two also share a lifelong love of athletics, with Amery having become an accomplished equestrienne and Avril an accomplished tennis player. Both are also active skiers. When he was a sophomore, Papazian was a member of the celebrated 2002 cross-country team. As a senior, he won the New Jersey Meet of Champions in the fall of 2004. Later that year, he became the first GSB athlete to win an event at the Penn Relays, claiming the 3K race. He also won the 3,200 at the New Jersey Meet of Champions. 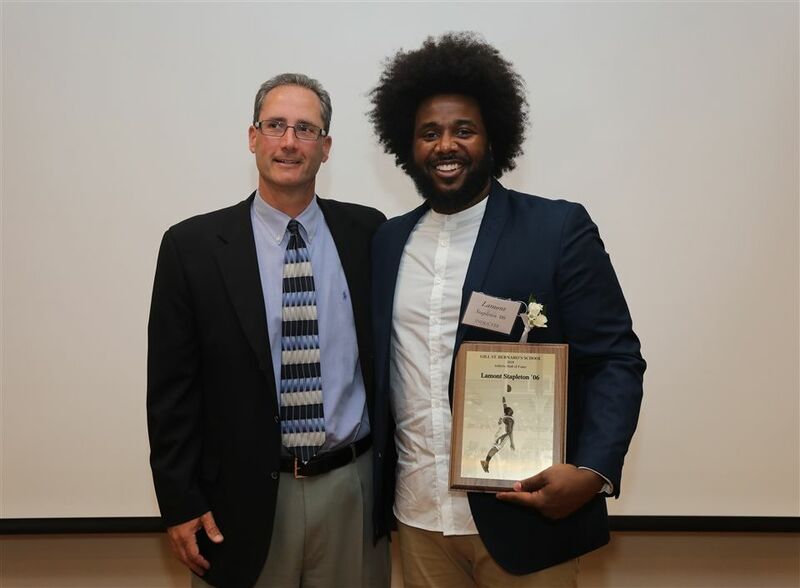 After Gill, he continued his running career at Division I Villanova University, running all three seasons: cross country, indoor track, and outdoor track. After college, he continued to run recreationally and occasionally race. In 2012, he won the North Face Bear Mountain Marathon. He also started a running program for kids in Bronxville, New York. Last year, Papazian graduated from Rutgers Law School, and he is currently clerking. A member of the 2006 Gill St. Bernard's basketball team, Stapleton was a leader at a time when the program was just beginning to gain traction. 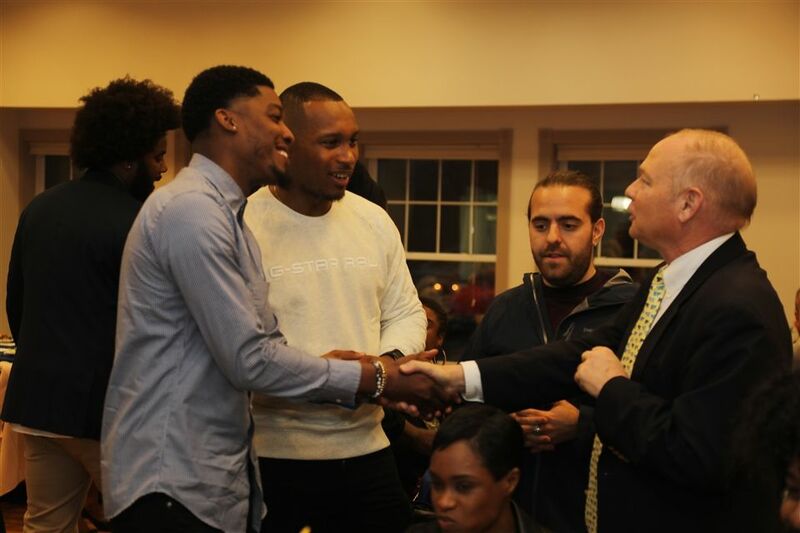 The talented player from Rahway could have joined a larger program, but he knew GSB was right for him. "The school took a chance on me, and I am glad they did. It was the right place for me." Presenting his award was former athletic director and current dean of student life David Pasquale. After GSB, Stapleton played for Southern New Hampshire University. Currently living in LA, he is the founder and CEO of I'm Just Different, LLC, an organization dedicated to inspiring individuality and understanding and accepting differences. Stapleton traces the seeds of I'm Just Different—particularly the values of acceptance and individuality— back to his student days at GSB. In addition, Stapleton works as a lifestyle consultant, connecting artists and athletes with companies and venues.